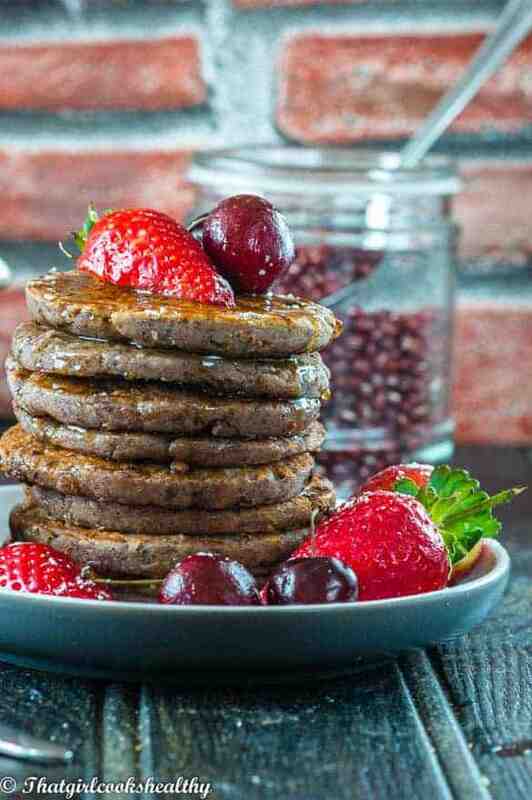 Dorayaki inspired pancakes – These Japanese inspired pancakes are deliciously gluten free made with buckwheat flour and pureed adzuki beans. 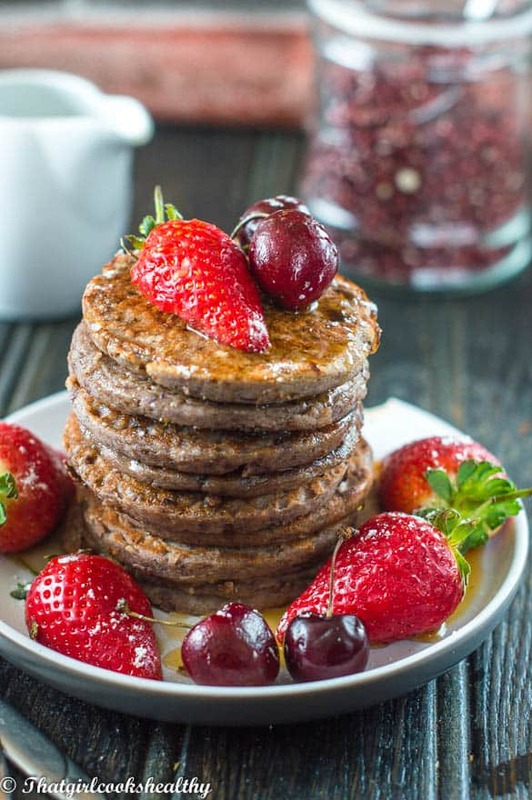 Do you love pancakes but looking for a really innovated way to create them. Well I have you covered with these dorayaki inspired pancakes. 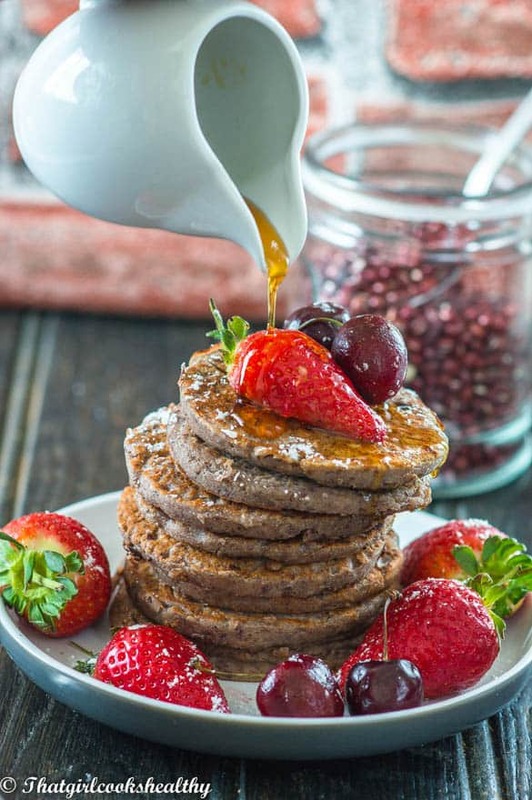 They are made with a combination of legumes and buckwheat flour for that gluten free twist. Dorayaki is essentially two small pancakes made from castella (flour, eggs, sugar and starch syrup) which are wrapped around a sweet red bean paste. The filling (bean paste) is made using sugar and adzuki beans. 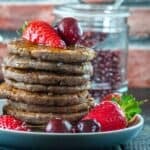 These pancakes are creating a storm with most east Asian countries creating their own version including the Chinese variation which infuses the red bean filling into the pancake. The good news about Azuki beans is that they are in low in fat, carbohydrates and high in protein, making them a perfect choice for people who are trying to lose weight. Studies also proclaim that it helps to lower the Low Density Lipoprotein – this is the bad cholesterol which attributes to cardiovascular disease, you can click here to find out more and also for one of many studies . I almost forgot to mention the insoluble fibre (which basically means incapable of dissolving) eases constipation and regulates bowel movements. 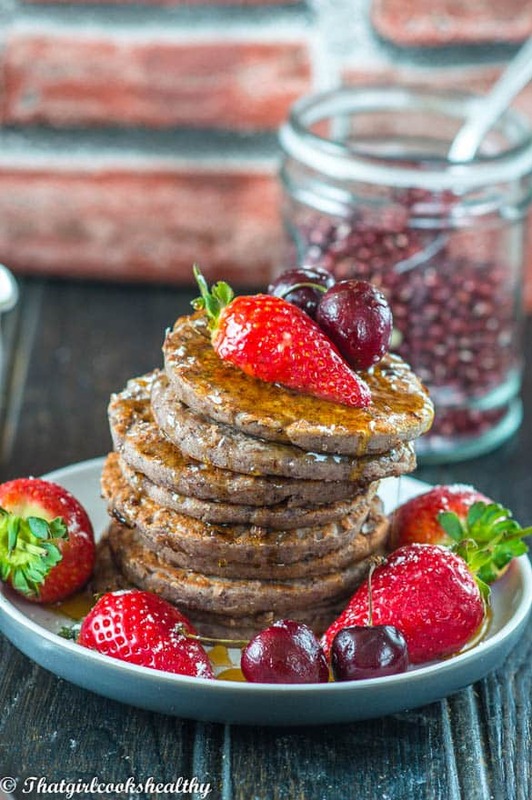 For this red bean paste pancake recipe I used buckwheat flour – I will be adding more gluten friendly recipes soon, so fear not! Today was my first time cooking with it and I must admit that I was impressed with the taste and texture; it is lighter than whole wheat and bears a nutty, subtle sweet taste and lower in gluten. Pressure cooking the beans – I commenced cooking the beans in my pressure cooker for roughly 30 minutes – because the red beans are smaller size, they don’t take as long as other legumes like chickpeas to cook, yipee! Bean ratio – Anyway, finding the correct ratio of beans was tricky. I cannot count the number of times where a recipe calling for adzuki resulted in triple the quantity. The reason behind this was due to the beans expanding in water, 1/2 a cup should yield 3/4 which is what I used for this recipe. 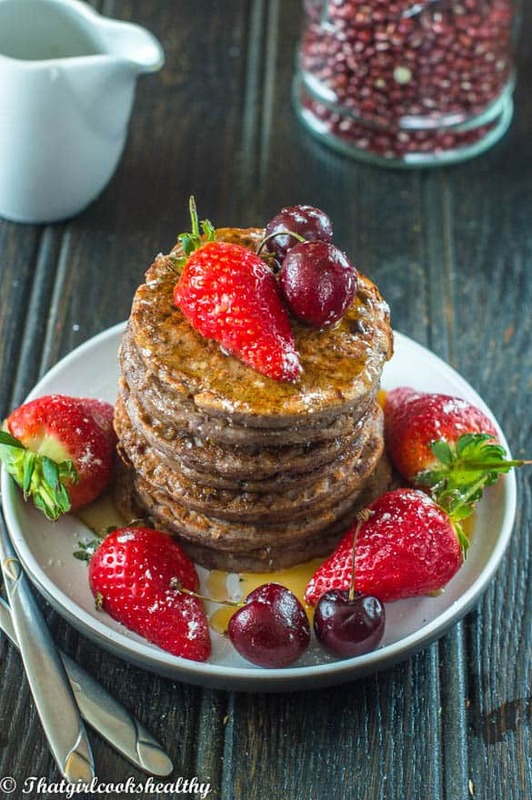 Pancake batter – The batter should be slightly dense but able to pour. Add the beans to a pressure cooker filling it half way with water. Set the unit on the legume setting, seal and cook. Mine takes 30 minutes. In a medium sized bowl, add the buckwheat flour and make a well in the middle. Pour the egg, coconut milk, nectar, lemon and salt in the centre. Use a whisk to mix everything together then add the adzuki beans. The batter should be slightly thick. Add oil to frying pan of your choice and pour the batter so it forms a circle. Cook until golden – use egg spatula to carefully check at the first side for readiness. Turn over and repeat steps 3 and 4. If using immersion blender – ensure all ingredients are blended thoroughly with no lumps. Adzuki beans – also known as Azuki, aduki, red beans or cowpeas – be mindful of this when purchasing. Thank you! These pancakes were delightful! I just bought adzuki beans to make more. I combined and warmed a ripe banana, coconut oil, and a little honey to make a syrup to put over them:). Awesome! That’s what I like to hear. I would love to see some pictures if you have any? Do send them through!